Posted in • fashion and tagged diane-von-furstenberg on January 23, 2015 by aubadegirl. 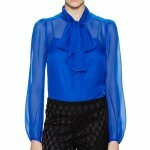 If you can’t have silk then Diane von Furstenberg is the next best thing! 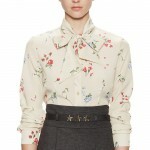 If you can live with polyester, the “Jezebel Chiffon Bow Neck Blouse” should do you quite nicely then. Posted in • work clothes and tagged diane-von-furstenberg on January 18, 2015 by aubadegirl. Guaranteed to turn heads, these fantastic “Diane von Furstenberg Wrap Dresses” will surely raise the bar on your style and add versatility to your work wardrobe..
Posted in • work clothes and tagged diane-von-furstenberg on November 18, 2014 by aubadegirl.